Paul J. Hedlund was an attorney for 45 years and a member of our team at Baum, Hedlund, Aristei & Goldman for 30 of those years. He served as one of the firm’s senior partners for more than 20 years, overseeing the firm’s major transportation accident cases. Paul focused his practice on commercial transportation accidents including, aviation, bus, train and truck crashes. He received his degree in Mechanical Engineering from the University of Michigan and his law degree from UCLA. Over the course of his career, Paul handled thousands of personal injury and wrongful death cases across the country. 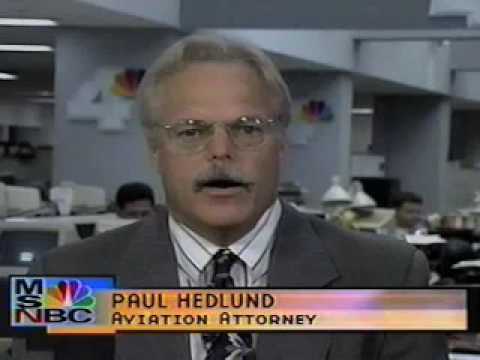 Paul was appointed to the Plaintiffs Steering Committees in the United 232 Sioux City crash, the Alaska Airlines crash off Pt. Mugu, CA, the September 11, 2001 Tort Litigation and the Metrolink Collision Cases for the 2008 crash in Chatsworth, California. He was also part of the team that negotiated, as a term of the settlement, an unprecedented public apology by the president of Air Midwest in a formal ceremony to the families of the victims of the crash of Air Midwest Flight 5481, which crashed on January 8, 2003 at the Charlotte-Douglas International Airport. Mr. Hedlund has the highest 5.0 out of 5 AV® Peer Review Rating through Martindale Hubbell and the highest Avvo.com superb score of 10. He has been selected to Southern California Super Lawyers and is listed in the Bar Register of Preeminent Lawyers, Who’s Who in America, Who’s Who in American Law, and Who’s Who in the World. He is also listed in Aviation Counsel Magazine’s List of Recommended High Flyers, believed by the International Air Transport Association’s Legal Dept. to be one of the most elite lists of aviation law practitioners ever produced. Because of his expertise as a mechanical engineer, Paul was the only attorney to testify about train configurations and safety at a California state hearing in 2005, looking into the cause of the worst train disaster in Metrolink’s history, in which his firm represented 15 passengers. Paul was also the only attorney to testify in 1990 about the need for labeling earthquake susceptible buildings, before the California State Legislature Seismic Safety Commission hearing re: the October 17, 1989 Loma Prieta earthquake. His client’s son died when a commercial building known to be vulnerable to tremors, collapsed on him during the quake. Paul is among the relatively few attorneys who have argued a wrongful death case before the United States Supreme Court. The press has interviewed Paul on numerous occasions. He has appeared in the media more than 150 times on TV and radio programs such as, ABC’s PrimeTime Live with Sam Donaldson, ABC World News Tonight, CNBC, CNN, Court TV, EXTRA, Fox News Channel, MSNBC, NPR, and all the Los Angeles news stations. He has also appeared in print media such as, Newsweek, Wall Street Journal, Associated Press, Los Angeles Times, National Law Journal, and the Washington Post.